The Thomastik Dominant 138 1/2 Viola G String brings a great blend of warmth, brilliance and clarity to your playing. 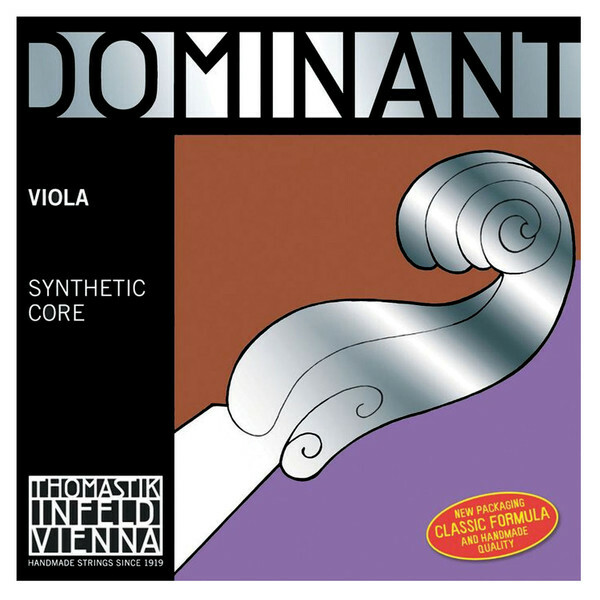 The Dominant strings feature a flexible synthetic core that has all the tonal characteristics of a real gut string. The string is silver wound for optimum richness in tone. The sound produced is soft, yet maintains its clarity amongst the rich overtones. This Thomastik G string is designed to fit half size violas.